I have that sinking feeling as I sit with Tillman Jex in his bedroom-come-studio-come-living room in Friedrichshain, on the east bank of the River Spree in Berlin. Wires loop outwards from a module at the foot of his bed, into a desktop computer monitor and other bits of kit. His music – ambient, enticing ­– unveils itself slowly through the speakers. I nurse the tea he has made after boiling water on the stove. And still, I’m going down. I sit forwards on the cushion’s edge, suddenly elevated, sip my tea. 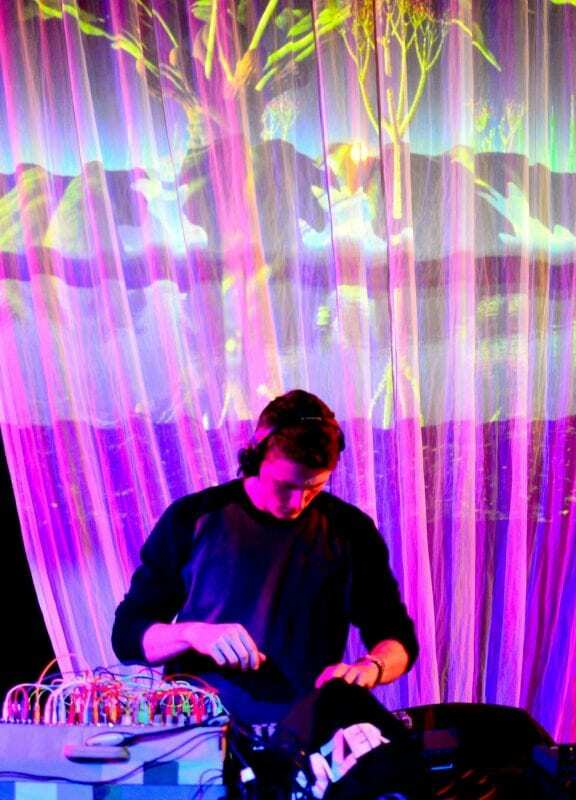 Tillman Jex performing with a 9U Eurorack synthesizer and Octatrack. Image supplied. Following the fall of the Berlin Wall in 1990, Friedrichshain and neighbouring Kreuzberg quickly became home to punks and squatters, to artists and party-people from what for decades had been East and West. The timing of the that, and the sudden bonanza of abandoned warehouses, played into the birth of the club scene in Berlin which, nearly 30 years later, continues apace with Friedrichshain and Kreuzberg at its beating heart. 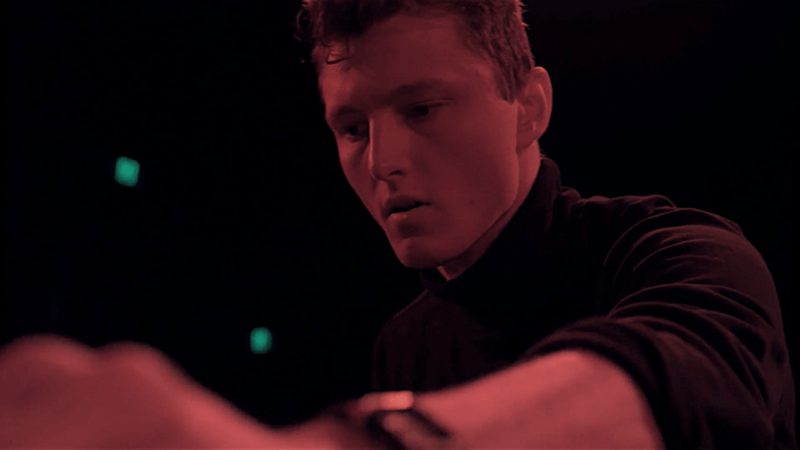 Jex – with one German parent, one Australian – had little doubt he would be moving to the city as soon as possible after graduating in Interactive Composition from the University of Melbourne at the end of 2016. He arrived in the city mid-2017 and describes the experience so far as “really, really good”. If that’s difficult to conceptualise, fear not: Jex recently published a 31-minute suite of music called Sub-Surface Oceans, which he’s been working on since 2016. Tillman Jex at work in his Berlin apartment. By Jamie Graham. And in the middle there? That must be a mixing desk, right? Tillman Jex as the poster-boy for the University of Melbourne’s Interactive Composition program. University of Melbourne. 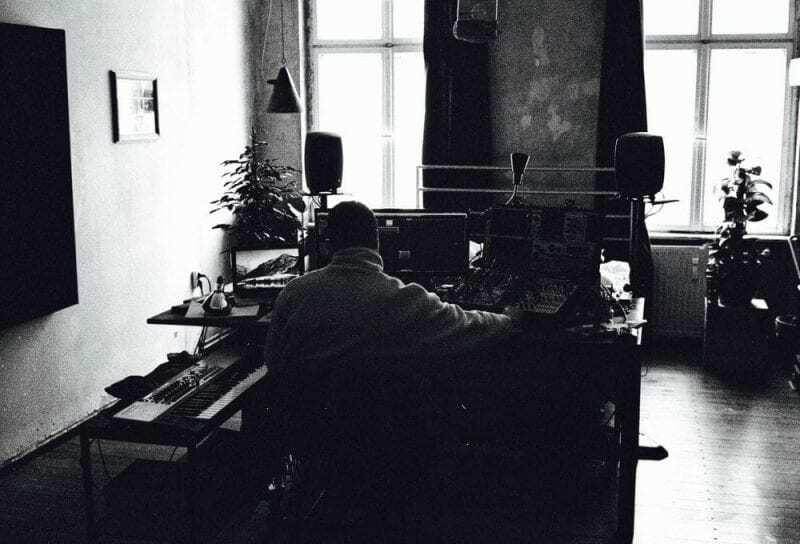 Though techno remains a key interest, he was quickly disabused of the idea that Berlin’s techno scene would be “much more cerebral, more intelligent, and less momentary in the sense of people just partying and forgetting”. “In reality, it’s not that different to the techno in Australia,” he says, sitting again. “But the party scene is a lot less controlled. I wouldn’t say there’s more drug-taking necessarily, but there’s more freedom with that aspect of things, and the culture, on the whole, is much more responsible. Tonight, as he does ten times a month, he’ll be tending reception in a hostel from 11pm to 7am. I screw up my face as his chair resumes eating me, try to look sympathetic. That Jex should feel drawn to the the cerebral possibilities of music isn’t out of keeping with his other interests. Despite being a multi-instrumentalist (guitar, double bass, drums, piano, and guitar), with a father who is a drummer and composer, his plan on finishing high school in 2011 was to study psychology. On his travels, he spent a month working on a farm in Umbria in central Italy – “where they had a piano, so I could also work on my portfolio” – before heading to Croatia, where he worked for Yacht Week (Official motto: Sail By Day And Party All Night Long). He laughs, seems relaxed, sips his tea, a 25-year-old Melburnian in Berlin. “My music has really turned into this focus on trying to entice people to meditate and therefore enter into a detachment of the physical world,” he says. Does he meditate? Did he meditate in the past? The form his meditation took, he says, was “the classic one of focussing on your breath and nothing else”. As part of his portfolio for the University of Melbourne, Jex attended a screening night at which Victorian College of the Arts Film and Television students pitched their film ideas and asked for help. He put up his hand to score a short film called ROT by VCA Film and Television Masters student Ruby Railey. ROT (2013) by Ruby Railey. Music by Tillman Jex. Railey used the music, the film won awards in New York, Toronto and LA, and the score formed part of Jex’s successful portfolio for an Interactive Composition degree at the University’s Southbank campus in 2014. That potential, he says, is often overlooked by students. “It can be hard to break the ice and make the connections, particularly when you walk into the facilities of some other discipline. In my own case, there’s nothing I love more than to sit in the studio alone making music from dawn till dusk, but you have to also get out and meet people. Shermaine Heng | 7 Deadly Sins | Grounded 2015 Melbourne. Music by Tillman Jex. It’s getting dark outside, Jex still seems relaxed, and it strikes me I could maybe go out partying with him, ask him to take me on a tour of the best clubs in the city. But then I remember he’s heading out to work at the hostel, his last shift before heading overseas for a seven-day music festival called Love International in Croatia. Is he looking forward to it? Was there ever a more redundant question? Follow Tillman Jex on Instagram. Find out more about Interactive Composition at the University of Melbourne. Sign up for the Faculty of Fine Arts and Music’s free monthly enews. Read more stories from Germany. Banner image: Tillman Jex performing on his modular synthesizer at his graduating performance at the University of Melbourne. Image supplied.